The Faculty of Accounting, Finance and Economic Activity of Chernivtsi Institute of Trade and Economics of KNUTE was created through the reorganization of structural subdivisions from February 1, 2017. The main task of the Faculty of Accounting, Finance and Economic Activity is to prepare highly skilled, demanded specialists capable to perform functions of the best economists, financiers of enterprises, specialists in accounting, analysis and government. 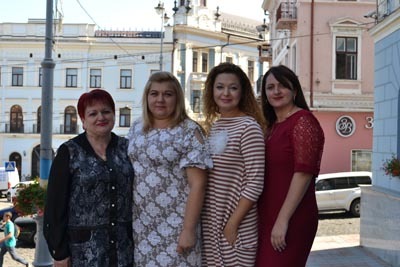 Thanks to the scientific and pedagogical staff of the Faculty of Accounting, Finance and Economic Activities, the professional community of the region and the country as a whole will be replenished by young, talented, skilled specialists in the field of economics, finance and information technologies. The Faculty is headed by the Dean – Nataliia Bykova, PhD, Associate Professor, Docent of the Department of Finance, Banking and Entrepreneurship. Deputyt Dean – Iryna Mustetsa, PhD, Senior Lecturer of the Department of Accounting and Taxation.